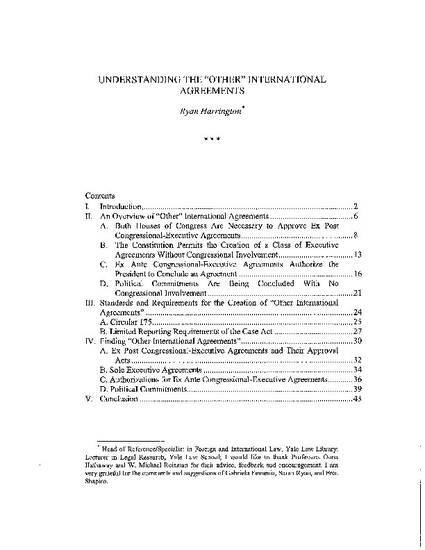 understanding of the international agreement-making process in the United States. In many instances, Congress has preauthorized the President to negotiate and conclude an international commitment. In others, the majority of both houses of Congress, rather than two-thirds of the Senate, approve of an international agreement. Even more troublingly, in the last half century, the United States has come to rely on yet another form of international agreements, called “political commitments,” that create nonlegally binding expectations and norms. These agreements are often made without congressional participation or knowledge.  They are also not required to be published, further mystifying the international agreement-making process. This article sets out to explain variations in international agreement forms, focusing particularly on congressional involvement and authorization. In addition, this article provides advice on locating the text of the agreements, and advice on locating the acts that give the President’s agreements legal effect, when constitutionally required.